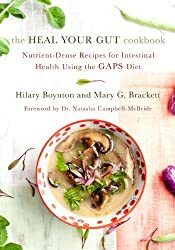 Today we’re chatting with Hilary Boynton and Mary G. Brackett, authors of The Heal Your Gut Cookbook: Nutrient-Dense Recipes for Intestinal Health Using the GAPS Diet . If you have health challenges, you may have read about or considered the GAPS diet at some point. 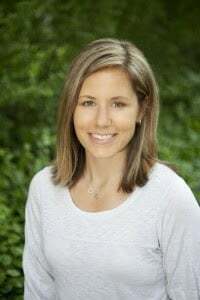 If it seemed complicated or challenging, you’ll want to check out today’s Q&A with the authors of a new book that was written to help people on a GAPS diet. The first third of the book provides basic information about cooking for a GAPS diet and the last couple hundred pages are filled with recipes. 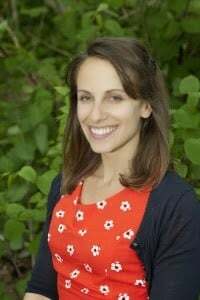 In 1985, Dr. Natasha Campbell-McBride coined the phrase ‘Gut and Psychology Syndrome’ (or GAPS) in reference to disorders which stem from or are exacerbated by, leaky gut and dysbiosis. These include (but are not limited to) ADD/ADHD, autism, addiction, depression, and OCD. Likewise, chronic gut-related conditions such as celiac disease, rheumatoid arthritis, Type 1 Diabetes, and Crohn’s disease also fall under the auspices of GAPS. Even sufferers of asthma, eczema, allergies, and thyroid disorders can benefit from this healing diet protocol. Finally, as an evolution of the Specific Carbohydrate Diet, GAPS also appeals to followers of the Paleo Diet who might be struggling for optimum health. Why did you want to write this cookbook? Mary: When we first started doing GAPS I found it very difficult to comprehend all the different pieces of the diet—when to start which food, how to know when it was time to move on. And more importantly, I didn’t know what to cook! I found myself cooking the same three or four meals over and over again until I could no longer look at chicken soup or boiled meatballs without cringing. This cookbook was born out of a desire to organize the pieces of the diet so that they are crystal clear and provide a blueprint of delicious, healing recipes. Hilary: When my family started on the GAPS Diet, I found myself lost and frantically searching the web for what to cook, and when. I was craving a book that was not only aesthetically beautiful but was also a one-stop shop: one that would walk me through all the necessary steps and inspire me to get in the kitchen and start cooking! When Mary mentioned doing a cookbook together, we recognized immediately how helpful it could be to people and families like our own. So we set out to inspire others to try the GAPS Diet and to lessen the stress of it all. The GAPS diet requires a lot of time dedicated to cooking meals from scratch. How did this fit into your lifestyle and what tips do you have for someone just starting out? Mary: Cooking is a lost art in this country, so I was accordingly lost at the start of the GAPS diet. Thankfully I had Hilary to call upon to give me ideas of meals as well as books to reference. But the truth is, GAPS is a serious time investment. At first I had anxiety with how much of my day was spent laboring in the kitchen. I felt like I never took my apron off, as if I was living in some weird 1950’s sitcom. It was definitely strange at first. But once I got a few recipes under my belt it slowly became easier and easier until cooking daily was routine. For someone starting out, I recommend going slow and be kind to yourself. Begin by picking out a few recipes that entice you and once you have made a few—and realize how delicious and satisfying they are—you will get the hang of it. Hilary: Yes, the GAPS Diet does require more time in the kitchen. However, what a gift you are giving to yourself and your loved ones. Now is the time for us to learn, or another generation will grow up without knowledge of food, nutrition, or cooking skills. The time in the kitchen will come back to you tenfold. Dinners around the table, smiling faces, exchanging conversation, no more picky eaters or separate kids’ meals! I promise, you will be patting yourself on the back and so thankful that you have given you and your children not only the gift of health, but also ‘family dinners’ that they will remember fondly for a lifetime! Give yourself time, and you will be overjoyed with your efforts. Slowly but surely, you’ll become a more confident and creative chef. Even your children will start coming up with their own creations, relieving you of some work! How has the GAPS diet helped you and your family? Hilary: The GAPS Diet has helped on so many levels. It has given us a clean slate to move forward with an understanding of our personal health that goes beyond any doctor’s office. One major lesson is that every person is different. Bio-individuality is very true. What works for one does not always work for everyone. The GAPS Diet has also given me a perspective on life that I did not expect. Overcoming challenges, letting go of control, and coming together as a family has developed a bond between us that we will always share together. Do I get push back from the kiddos? Do I pray that they won’t run for the free bins of Lucky Charms in the dining Hall at college? Sure, but I know the foundation has been laid and they will be okay. Mary: The GAPS diet has helped our family immeasurably. The diet gave me space and understanding to properly diagnose underlying health issues that had plagued me for years, and begin to heal from a lifetime of eating foods that were quite toxic to my body. Embarking on GAPS also taught me how to cook—no small feat there! My family considers themselves quite lucky to have a partner and mama who can prepare healthy, nourishing whole food meals that taste great and keeps them in tip-top condition. I’m incredibly grateful for the healing that has taken place, for myself, and for my family. Be sure to come back on Friday when we’ll be sharing Hilary’s and Mary’s recipe for bone broth! I read the book by Dr. McBride about 10 years ago – maybe more? I like the idea of it, but had the same concerns as these ladies, not to mention wondering exactly how many organic chickens are we going to consume to do this?? I'd be interested to see how these women handled it all.